Chicago police and fire responded to reports of multiple students who became sick after eating brownies on Friday afternoon at a high school in the Ukrainian Village neighborhood. CHICAGO (WLS) -- Chicago police and fire responded to reports of multiple students who became sick after eating brownies on Friday afternoon at a high school in the Ukrainian Village neighborhood. 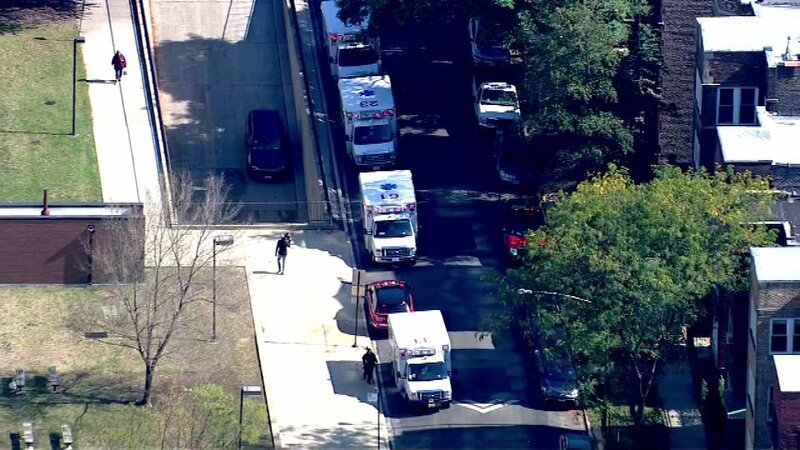 Five ambulances were sent to Roberto Clemente High School in the 1100-block of North Western Avenue. Authorities said four students were taken to the hospital in fair condition. Three of them were taken to Norwegian American Hospital and the fourth was taken to Saints Mary and Elizabeth Medical Center. "Nothing is more important than the well being of our students, and earlier today school officials contacted 911 in response to concerns that a small group of students may have ingested an unknown substance. Emergency services providers responded promptly, and a review of the situation is underway." The school was on a soft lockdown while firefighters conducted a floor sweep for additional sick people.